Sounds like a challenge....and we both know how we respond to challenges. Good luck. I'm looking forward to hearing all about it. I have this funny feeling I won't be doing a whole lot of sleeping over the next two months. Good luck with the musical. I shall still lookout for updates on your son's progress. @SophiaMorros It's good that you have this meeting point and hike with him. Give him a rest from carrying things too. This seems an Herculean task to accomplish, good luck to you. Thanks, Anna. I'm just a tad overwhelmed right now. Too many things that need to be done and I'm still in the research phase. @SophiaMorros I admit that I would not know where to start. @LadyDuck I really couldn't even do much of the research until I was given my marching orders from the director. Now that I know what she wants I can get moving. I'm sure everyone appreciates your effort. 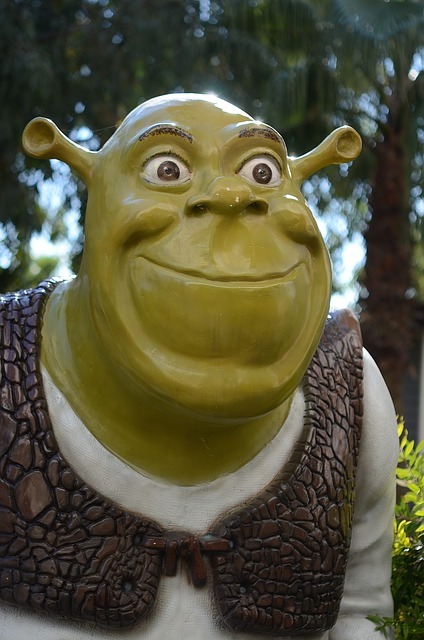 You never have been one to shrek your duties. Oh dear! What a workload! Just post occasionally and keep us up-to-date. You don't need to respond to any of my posts till - let me see - maybe late June? when I'll be back from our trip overseas. I hope it all goes well. By late June this will all be behind me. It's the mountain in front of me that's keeping me awake nights at the moment. Enjoy your trip, I look forward to reading about it! @SophiaMorros I hope you'll get the chance to tell us about some of the creative ways you'll concoct these costumes. I think you are going to be very busy too. I'm hovering at the edge of panic right now. I know that you can do it, and I'm sure that nobody else doubts it, otherwise they wouldn't have called on you for it. Good luck. I think they called on me to do this show because no one else wanted to tackle it. I think I will be calling in a LOT of favours among my friends that sew. Luckily for me, both my daughters and my bonus daughter are all willing and eager to help (of course two of them have end-of-semester assignments and final exams to deal with in the next couple of weeks). I'm sure that you will do just fine.